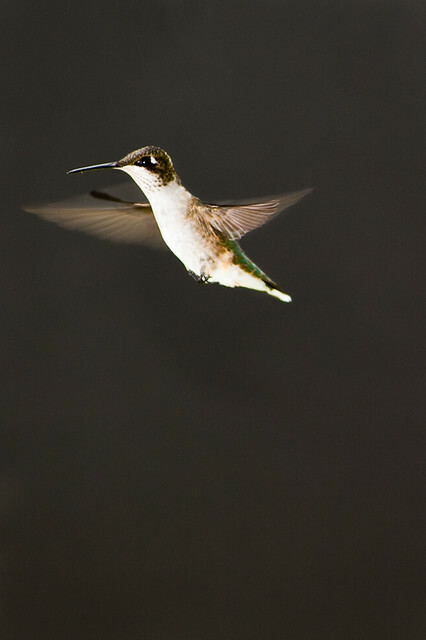 We have at least three hummingbirds flying around in our backyard. I decided to try and make a photo of at least one of them while it was coming to the feeder. I also wanted to see if I could photograph one of the quick little jokers against a black background. I got the idea to use the background after reading Scott Bourne’s post about Photographing Hummingbirds in Madera Canyon AZ. My hummingbird shot is not close to the quality of his, but I’m learning.